In 2017, the Concours of Elegance returns to the exceptional grounds of Hampton Court Palace. Henry VIII’s legendary riverside retreat, this Historic Royal Palace in Greater London last hosted the Concours of Elegance in 2014. 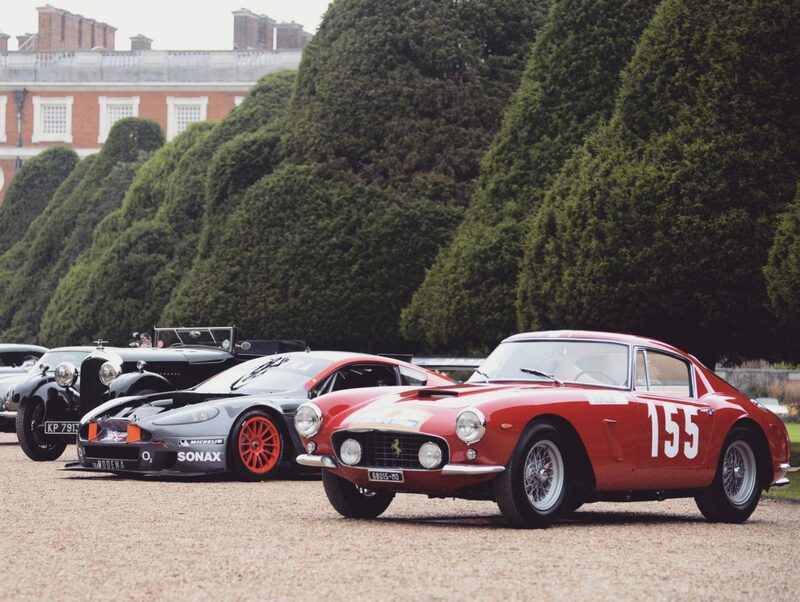 From Friday the 1st of September through to Sunday the 3rd of September, sixty of the rarest cars in the world will gather in the incredible Fountain Garden for the latest Concours of Elegance. Full details of the exceptional cars set for Hampton Court Palace will be announced in the coming months. The Concours of Elegance remains unique in the UK as the only automotive event to be held at a royal venue each year, with 2017 marking the show’s sixth year of spectacular automotive gatherings in some of the world’s most iconic locations, including St James’s Palace, the Palace of Holyroodhouse, Windsor Castle and, of course, Hampton Court Palace. His Royal Highness Prince Michael of Kent is the Concours of Elegance’s Patron, and serves as Chief Judge in the highly sought after Royal Automobile Club Club Trophy. Bringing together the ‘best of the best’ of the UK’s car club scene, the Club Trophy winner is granted automatic entry in to the following year’s Concours of Elegance selection of 60 cars. The 2016 winner, a 1923 Aston Martin Clover Leaf, will be entered into the main concours at Hampton Court Palace. In addition to its unique royal palace location, the annual Concours of Elegance differs in other ways from a traditional concours, whereby the judging is conducted entirely and exclusively by the owners of the vehicles entered, not by a formal judging panel. The Concours of Elegance organisers maintain that if a car has been invited to participate, it is already a winner, with each vehicle owner given one vote for another car in the Concours that they consider the most elegant. The car with the most votes receives the stunning Concours of Elegance Pullman Trophy and is named ‘Best in Show’. As with every Concours of Elegance event to date, the 2017 running is focused on raising significant sums of money for charity. Last year’s event at Windsor Castle raised in excess of £250,000, and the total raised since the Concours began in 2012 has now surpassed £1million.